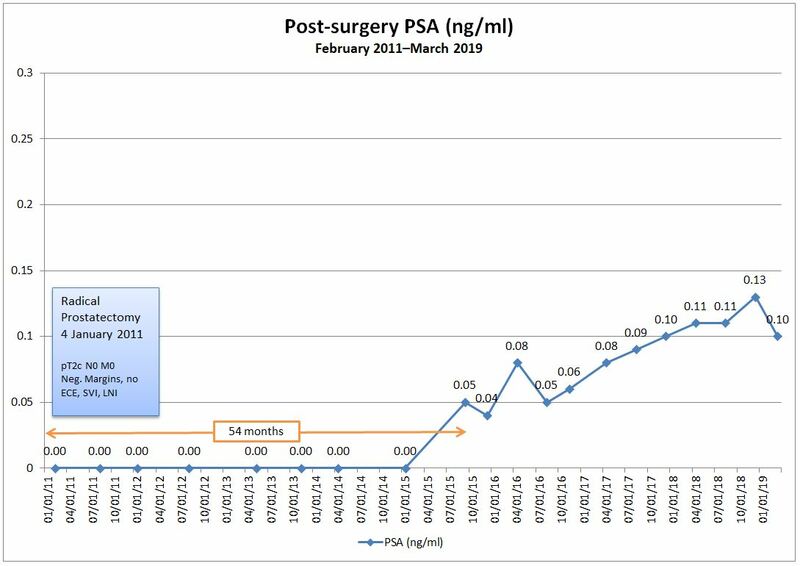 You would have thought that, with me confidently predicting that my latest PSA number would climb, I would have been relatively okay after getting the results Thursday night. Not so. Friday, I plunged into a deep funk, and my ability to concentrate at work dropped to a 2 or 3 on a scale of 10. Not good. To combat the funk Saturday, I distracted myself by going down a relatively mindless rabbit hole on YouTube. (I know, not my proudest moment, but it worked.) One of the videos that I watch was from a young landscape photographer, Dave Morrow, that was entitled, How Quitting Social Media Changed My Life & Photography. That piqued my interest, so I spent 11 minutes watching it (video below). As a bit of background, I was really opposed to joining Facebook and other social media years ago. I successfully resisted joining despite pressure from family and friends. In fact, this very blog arose from my disdain for Facebook yet wanting to be able to keep everyone informed about my situation. But when I started working at the museum, we had a Facebook page for our volunteers and, as volunteer coordinator, I thought it was important to understand how to use it. I set up my own Facebook account as a playground to learn. That was four years ago, and I have to admit that I’ve been sucked into the Facebook vortex over time, spending more hours on it than I should. The key takeaway for me in Dave’s video was when he said that he took all of the time and energy that he put into social media and devoted it to the things he enjoys and is passionate about instead. That was one of those “Ah-ha!” moments that we all knew about but had to relearn. I haven’t been on social media since Saturday—it’s been quite refreshing—and I’ve followed Dave’s advice and used that time for more enjoyable endeavors. Yes, it’s been a bit of a challenge not to look on Facebook, but I’ve resisted so far. Will I completely delete my accounts? Time will tell. There has been some advantage in using social media to connect with old friends, to remain connected with those half a continent away, and to even connect with fellow prostate cancer patients. Dave’s insights were more from a developing and growing his business perspective, but obviously, they could be applied in a personal setting as well. Disconnecting from social media allows me the time to move forward doing things that I enjoy—walking on the beach, hiking in the desert, or snapping a photo or two. Each of those help combat the emotional funk. Who would have thought that a YouTube video about managing a photography business would have reminded us that we need to eliminate those things that don’t add value or bring joy to our lives, and focus on those things that do? Nice one Dan. Glad to hear you found a way to confound the funk. Thanks, Phil. I’ll do my best to keep it going. We all know, however, this disease can be quite powerful in messing with our minds. Good to have the support of fellow patients. Thanks! Thanks, Jim. One of the great things about living in the San Diego area is being able to drive from the beach and, in an hour, be atop 6,000 ft / 1,800 m tall Mt. Laguna and, in another hour, be in the desert. Don’t like your weather or environment? Just drive an hour or two. I hear you, brother. I have a FB account but keep it on the back burner, as my social media platform of choice is WordPress. I too have prostate cancer, and am currently recovering from having it removed two weeks ago. Unlike other procedures I’ve had over the years, I’m finding that cancer has both the physical and mental aspects to deal with and a really good day is when they are both positive. While I do photography and am skilled with it, I’m switching back over to watercolor painting, so I can self-medicate via art therapy. Getting into a zen state with art helps elevate me out of mental funks that come with dealing with cancer. Thanks, Mitch. I’ve been enjoying your photography–it’s good to be inspired by other perspectives. I couldn’t agree with you more on the duality of dealing with cancer. There are times where I believe that the mental health part of dealing with this disease is the greater challenge. Good luck on your recovery. My two cents worth of unsolicited advice is to not rush things and let your body tell you when it’s ready to move forward. Be patient when it comes to regaining urinary control and sexual function as long as you sense there’s gradual improvement over time. I’m just taking it one day at a time at present. I know that my office mates are eager for me to return to work as soon as possible, but I’m sticking to my guns on going back on 4/23 and not a day earlier. Urinary control is pretty decent already; I just need guard inserts during the day and disposable briefs at night. However, bending over is still kinda tough and I tire easily. I think it’s great that you’ve halted your addiction to Facebook. I quit a few years ago and never looked back. I was spending hours on it each day, doing nothing of consequence and not really getting anything out of it. Connecting with world around you is so much more fulfilling. It surprises me how quickly thoughts of cancer and my future can pop up and ruin the time I’m having. It’s hard to stay focused on the present all the time. I too have found getting into the car for a photo shoot helps enormously. As you say, you’re very lucky to live in San Diego, the photo ops are endless. Don’t forget the zoo, you have one of the best in the world. Thanks, Jim. I hear you when it comes to random thoughts about cancer popping up at the most in opportune time. Interestingly, I didn’t take a single photo in the midday sun Sunday. Just enjoyed being in the moment. I’m a member of the San Diego Zoo and can walk to it from my office. They’ve made some recent upgrades. Happy to show you around if you ever make it out here.